Zoo Camp 2019: Full STEAM Ahead!! Looking for an EXCITEMENT this summer? In 2019, Zoo Camp will integrate elements of science, technology, engineering, art, and math (STEAM) to explore the world of animals. Animal Encounters, Tours, Crafts, Games, and more! 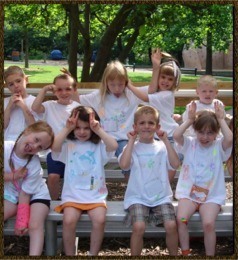 *Registration for Zoo Camp is through the Peoria Zoo only. Programs will fill quickly and are on a first come, first serve basis. Registration fees are non-refundable. The Zoo reserves the right to cancel programs with insufficient registration. A full refund will be given for program cancellations. Programs are held rain or shine. Snacks and beverages will be provided. Campers in sessions 1,2,3, 6, 7 and 8 need to bring a sack lunch. *Camps for 6th/ 7th/ 8th graders as well as one week for 4th/5th include a Zoo Snooze from 7pm Thursday to 9am Friday. Please call for more information. Each Zoo camper will be experiencing a program especially designed to meet the needs, interests and expectations appropriate to their age and developmental stage, so it is important that the age guidelines are followed. Please do not request to enroll children in other age categories. *Note: Each grade level has two session dates to choose from. The materials covered are the same for both sessions. For Zookids who will be entering 6th, 7th, or 8th grade. Bring a sack lunch; snack and drink provided. For Zookids who will be entering 4th or 5th grade. For Zookids who will be entering 2nd or 3rd grade. For Zookids who will be entering kindergarten or 1st grade. (5-13 years old)Snack and drink provided.